If you are missing one or more teeth and there is at least one serviceable tooth on both sides of the space where the tooth is missing, one acceptable option for replacement, used for many years in dentistry, is the fixed bridge. 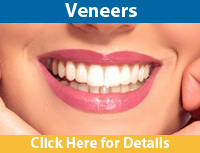 A fixed bridge is an appliance made of porcelain, designed to replace missing teeth in the most natural way possible. This procedure usually takes from two to three appointments to complete and is very similar to having a crown placed on a tooth. The first step in designing a fixed bridge is to prepare the supports for the bridge. 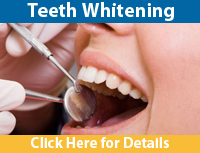 Your dentist will prepare the teeth on either side of the gap and take an impression of the prepared teeth. This impression will then sent to the dental technician where the bridge is made. 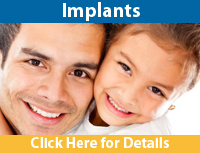 The technician will make a replacement crown for each prepared tooth. These crowns will be joined to pontics which replace the missing teeth. Your dentist will then cement the completed bridge over the prepared teeth. Removable partial dentures usually consist of replacement teeth attached to pink or gum-colored plastic bases, which are connected by metal framework. Removable partial dentures attach to your natural teeth with metal clasps or devices called precision attachments. Precision attachments are generally more esthetic than metal clasps and are nearly invisible. Crowns on your natural teeth may improve the fit of a removable partial denture and they are usually required with attachments. Dentures with precision attachments generally cost more than those with metal clasps. Start out by eating soft foods that are cut into small pieces. Chew on both sides of the mouth to keep even pressure on the denture. Avoid sticky or hard foods, including gum. You may want to avoid chewing gum while you adjust to the denture. Over time, adjusting the denture may be necessary. As you age, your mouth naturally changes, which can affect the fit of the denture. Your bone and gum ridges can recede or shrink, resulting in a loose-fitting denture. Loose dentures can cause various problems, including sores or infections. Dentures that do not fit properly can be adjusted. Avoid using a do-it-yourself kit to adjust your dentures, as this can damage the appliance beyond repair. Glues sold over-the-counter often contain harmful chemicals and should not be used on a denture.